The property completion proceedings are further discussed in Part 2 of of our guide; including some of the obstacles that you may encounter when buying your next home. In the normal course the completion monies will be sent by your lawyer early on the day of completion to the account of the seller’s lawyer. If you are also selling a property then your lawyer will need to receive the funds from your purchaser’s lawyer first which obviously means the monies would be transferred to your seller’s lawyer later in the day. Your property purchase is considered completed when the seller’s lawyer receives the completion monies and when the seller vacates the property. As the lawyers cannot control what time the funds will reach their destinations there is no guarantee as to what time completion will take place. However, generally it will be around lunchtime. The contract will incorporate a latest time for completion. This will either be as per the standard conditions of sale, in which it will be 2pm, or it may be varied. It is very rare that it will be later than 2pm but it is quite common for it to be earlier, perhaps 1pm or even as early as 12. If the matter has not completed by this latest time then the party who has caused the delay in breach of the contract (see below). Once the funds have reached your seller’s lawyer he should call the estate agents (who will usually be holding the keys) and instruct them to release the keys to you. As mentioned above the contract will state the time which is the latest time for completion. If completion has not occurred by this time then whoever has caused the delay is in breach of the contract. 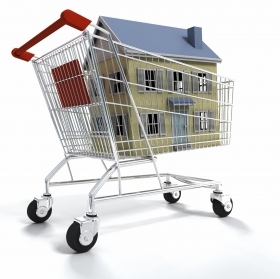 Any delay will usually be caused by the completion monies not reaching the seller’s lawyer’s account in time. Where you are selling and buying your lawyer should stagger the completion times – that is to say he should insist on an earlier time in your sale contract than in your purchase contract. Consider that if the latest time for completion of your sale is, say 1pm and the latest time for completion of your purchase is 2pm then provided your property lawyer receives your sale proceeds before the completion time he will have at least 1 hour to get the monies to your seller’s lawyer before you go into breach of contract. If the money reaches your lawyer after 1pm then although you may go into breach on your purchase contract you can pass on losses you suffer on to your buyer. If the times are the same in both contracts however then your lawyer may receive funds at, say, 1.58 (which is before the deadline) but obviously the purchase monies would not reach your seller by 2pm so you would have to stand all the costs. If you are trapped in this way and your lawyer has not attempted to stagger the completion times you should consider asking him for compensation. What if completion hasn’t happened by the contract time? Step 1 – don’t panic! Late completions are not uncommon, especially with long chains and generally provided completion does take place on the correct day no further action will be taken. Although funds can arrive with any of the lawyers in the chain at any time up to 5.30 each lawyer’s bank will have a “cut off time” after which they will be unable to transfer funds on to the next link in the chain. This time does vary from firm to firm but is generally around 3.30. Even if funds arrive at a point in the chain too late to transfer on it may still be possible to complete provided the lawyer holding the funds is prepared to give an “undertaking” to send the funds first thing on the next working day and the lawyer due to receive the funds is prepared to accept this. In Part 3 of our Property Purchase Completion Guide we will be looking at completions that don’t happen on the day and associated costs that maybe incurred. Good Lawyers should dedicate their company in providing professional legal services to individuals and businesses of most sizes too in many of areas. Ensuring the firm covers a broad range of cases involving all levels of complexity is key to legal success. Excellent, comprehensive explanation in understandable layman’s language and clearly laid out and easy to follow. Print outs also presented in a good font size so that they are easy to read.